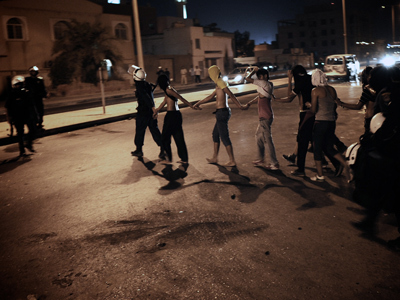 Bahraini riot police have fired tear gas and stun grenades at hundreds of demonstrators attempting to block a highway. Frequent antigovernment protests have wracked the country since February 2011. 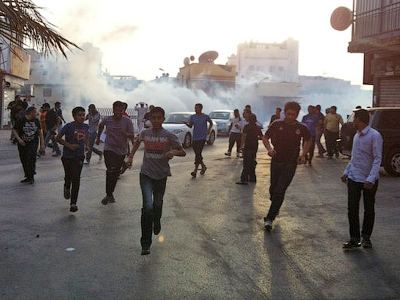 Protesters and police clashed in several Shiite villages late Thursday and early Friday, witnesses told AFP. 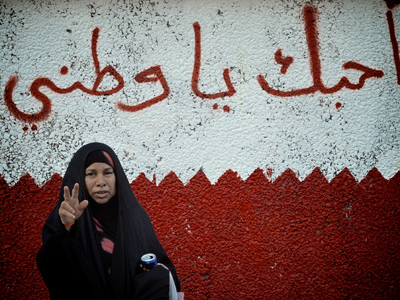 The recent protests are a move by Bahrain’s opposition to spark further street demonstrations in the country. Advocacy group Physicians for Human Rights released a new report this month titled ‘Weaponizing Tear Gas,’ which accused Bahraini authorities of badly injuring and even killing protesters with tear gas by flooding enclosed spaces like cars and houses with the toxic chemicals. The EU and US have made few statements and taken no direct action against the Bahraini government's crackdown on the uprisings. Richard Sollom, Deputy Director of Physicians for Human Rights and author of the report, noted that the report would likely not be well-received by the Obama administration, which has refrained from criticizing the Bahraini government, he said in an interview with New York Times. Bahrain is home to the US Navy’s Fifth Fleet, which patrols the Persian Gulf and is a strategic check against Iran. The Bahraini government did not respond to the group’s request for an account of the exact types of tear gas used by the police, Sollom said. It also refused to reveal where it is obtaining the tear gas, although canisters recovered on the street by activists suggest that they were manufactured in the US, France and Brazil. Several opposition leaders and human rights activists have been detained since protests began. 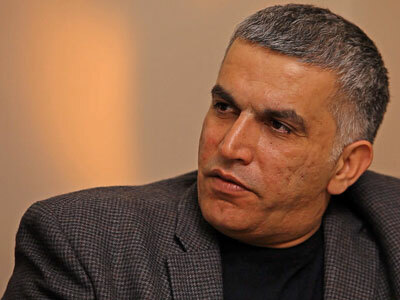 Nabeel Rajab, head of the Bahrain Center for Human Rights, was arrested and sentenced to three months in prison for participating in the uprisings. The verdict related to a tweet Rajab wrote in June alleging that residents of the town of Muharraq had been bribed into making a show of support for the country's Prime Minister. He was reportedly taken from his home by masked police. The case was one of several against Rajab, who had helped organize pro-democracy protests in the Gulf kingdom. Bahrain’s Al-Wefaq Shiite opposition bloc claimed one of its leading female members, Ahlam al-Khuzai, had been detained by police at the airport on Friday. Khuzai was arrested before she could fly to Tunisia for a conference organized by Amnesty International. ­Colin S. Cavell, a former lecturer at the University of Bahrain, told RT effectively all of the Bahraini pro-democracy opposition's leaders are now in jail. "All of the main leadership is in jail," he said. "Because it’s an island nation, you know who the opposition is. And the government has arrested all of them and put them all in jail. " 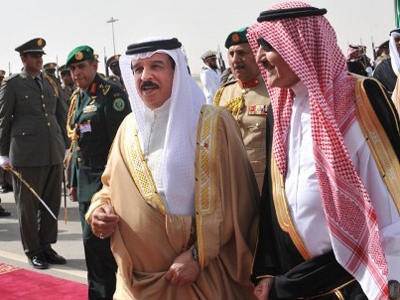 But the populace is still determined to remove the monarchy and oust the 229-year-old al-Khalifa regime, Cavell says. "The people who have been pushing the uprising against the government are now consolidating behind the leadership of the February 14 coalition," he said. "You have a number of people engaged in civil disobedience. The regime of course sends its gendarmes to try to arrest and use teargas against them."